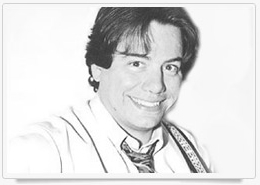 Founder of the Canadian English Centre and writer of its entire method, Ray von Schmalz is an expert in foreign language education, having given lectures at Brazilian and Canadian universities. "The Canadian English Centre has a great method, a very comprehensive material and an outstanding teacher! The classes are very dynamic and Ray focuses on the difficulties that most Brazilians have. I have been experiencing this method for one year and a half and today, I feel very comfortable to speak in English ..."
Dalmir MontagnaConsultor de Tecnologia "I’d like to tell everybody how much I enjoyed my classes at the Canadian English Centre and how important they have been to help me see the English language in a different manner. It is not a matter of learning grammar rules but of "surviving". The Canadian English Centre's method allows us to think directly ..."
Mônica PresasInternational Financial Manager, Grupo Copo - Spain "I have had classes at many famous schools in Curitiba, but only at Canadian English Centre I am really learning English. 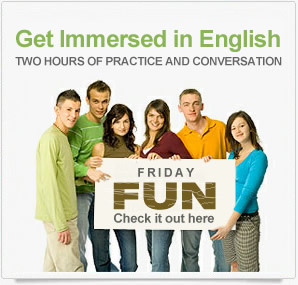 Its exclusive method forces us to think in English, improves our audio memory and constructs the basis for good English. Now, in the Phonetics Module, I am truly learning how to speak correctly ..."
At the Canadian English Centre, you begin to communicate exclusively in English at the end of the first semester, when you may no longer use Portuguese inside the school premises, not even at our snack bar where the service is exclusively in English. Get to know more about our exclusive method, and see how your English will progress in our program. 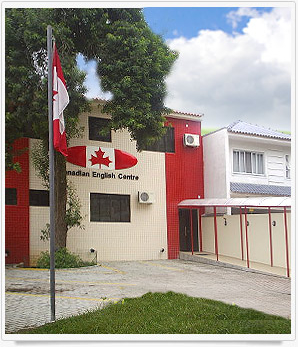 The Canadian English Centre is the most complete centre for Canadian culture in Brazil, and has been working on the promotion of Canadian values, such as history, geography, education, economy, customs, etc. since 1995. That is all part of Prof. Ray von Schmalz’s exclusive material, which has been developed since 1988 and has been continuously updated to make sure you get the best education. Although Canadian English sounds very much like American English, and Canadians use basically the same vocabulary Americans do, Canada's English is officially British. Global Mission® Intercâmbios is a company that was created to promote Canada in Brazil.